Air Albania will launch air flights from Rinas at the beginning of 2019. The news was given by the Turkish attaché for trade in Tirana, Halis Kaya, in a forum organized in Tirana by the Turkish Chamber of Commerce (ATSO). "The contracting parties are explaining some technical details, as we had planned flights to start in 2018," he added. While the company has passed the flight tests. On June 16 this year, the Albanian Government established the procedures for the establishment of the Air Albania company, which will operate in the field of air transport. The three partners are "Albcontrol", sh.a., representing the Albanian state party, and two other entities, "Turkish Airlines" and "MDN Investment", sh.p.k. 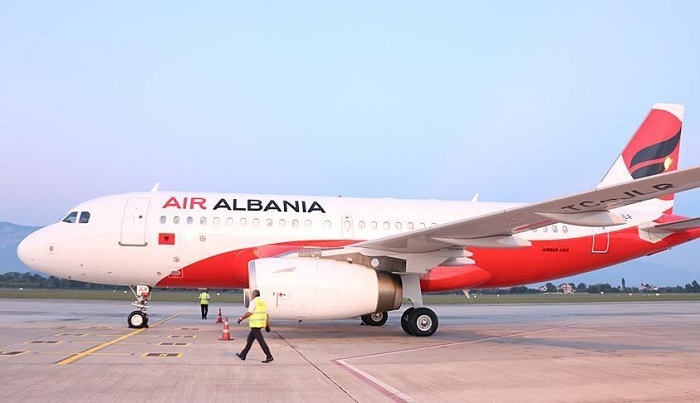 The government announced that the establishment of the "Air Albania" company would offer more opportunities for Albanians to touch some low priced destinations by considering themselves as a "low cost" line. Prime Minister Rama declared in April that had started the first staff recruitment for the company while his first flights will be launched in June but this was not possible. The representative of "MDN Investments" stated in public that the flights would be launched in September. The mode of operation, the exact deadlines for launching flights or whether the company will be low cost and at what level, are still cloudy for Albanians. But Turkey's attaché in Tirana, Halis Kaya said everything is ready, and that flights will start very soon. "We consider Air Albania as Turkey's most successful Turkish investment in recent years," he said. Turkey regards the Balkans as a common market for trade investment, but for Bosnia and Albania the Turkish business sensitivity is somewhat higher because are considered as brothers of Turks. Because of its favorable geographic position, Albania is seen as a good opportunity for the production and distribution of Turkish goods in the Region." Kaya said that the Turkish companies in Albania have a market value of $ 1.6 billion, and along with the company Enka, which was part of the consortium that built the Durrës-Kukes road, the market value of companies amounts to 2.7 billion euros.